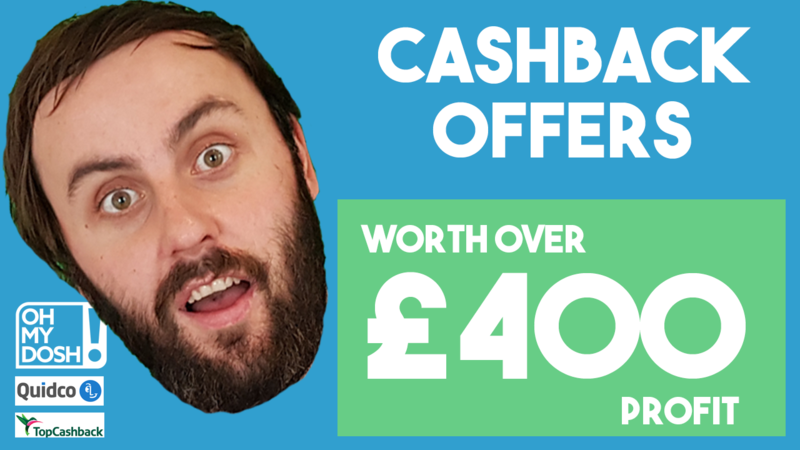 In total you can make around £450+ profit from these offers, and it's such a brilliant way to boost your total funds, perfect for those quiet Matched Betting days! Each offer takes very little effort and can be completed in less than 10 minutes, and so the hourly rate for these cash back offers is massive! For those of you who are new to the concept of cashback sites, it's very simple. Cashback sites such as TopCashback, Quidco, and OhMyDosh will promote a product, in this case a Casino or Sportsbook. For every customer they refer they will receive a commission from the Bookmaker or Casino, as they are expecting you to keep gambling with them. The cashback site then shares part of this commission with you as a kind of incentive to sign up through them in the first place! 1: Sign up to Sports, Casino and Bingo sites via a Cashback sites. You need to make sure that you click the link on the Cashback website so that you are visiting the Casino/Bookmaker through the cashback site. This will then allow the cashback site to be paid for referring you, which will then allow them to pay you. 2: Deposit and bet the required amount shown on the Cashback site. 3: Receive the cash reward via the Cashback site. You receive a cash reward, not a free bet. The cash reward will go straight into your cashback account and can be withdrawn. All of these offers will have a "deposit and bet" amount. Make sure you deposit the FULL amount as a minimum, even if you don't need it all, as you may not receive cashback if you don't. 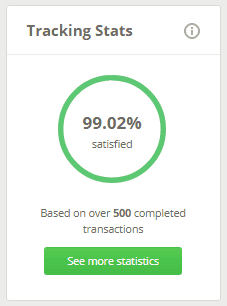 Sometimes the cashback can take a while to come through (1 month+) - this is completely normal. Below are the Sports Cashback Offers available for you to profit from. £10+ total Cashback for bookmakers that are listed below! Please note cashback payments aren't instant and can take up to 1+ month to hit your account! Please note the free bets and bonuses for the sports Welcome Offers are usually given in addition to the cashback, however it varies for each offer. Gubbing note - There is a possibility that signing up to bookmakers via cashback sites may increase your chances of being gubbed. 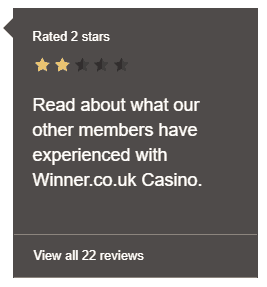 This is because the bookmaker will see you are a savvier customer signing up via a cashback site. This is not an issue for the smaller bookmakers you won't be using for existing offers, such as JetBull and Blacktype, but maybe for the larger bookmakers such as Ladbrokes and William Hill. Below are the Casino Cashback Offers available for you to profit from. The process is exactly the same as the sports offers. When you sign up to the Casinos via the cashback sites you will have to deposit and wager the amount specified in the offers below. I'd advise sticking to slots as not all websites allow you to use things like blackjack or roulette. Wagering just means the total amount you have to bet, but you don't have to do it all in one go. If the offer states "wager £10" then you don't have to do a £10 bet on a slot, you can do 25p spins instead until you've wagered £10 (that would be 40 spins at 25p). You could also do 10 x £1 spins if you wish. However the best way to maximise profit is to do small spins on slots which will reduce variance. Stick to 20p or 25p spins where possible, and always make sure your "lines" on the slot is set to the absolute maximum possible. Profit Explained: To work out the profit I've assumed you will be using a slot that was 95% rtp. For those of you that are new to slots, the 95% rtp just means that every £1 you spin, on average you will win 95 pence (so lose 5 pence). So to work out the profit, you simply multiple what you need to wager by the rtp, and subtract this from the cashback. An example can be Wager £10 get £10. £10 Wager x 95% = £9.50. £9.50 is what you will have left on average when you've wagered £10. The cashback is £10, so you have £10 cashback + £9.50 left = £19.50 meaning you are £9.50 up. It's super easy to do, but I've worked out the profits below for you. Please note cashback payments aren't instant and can take up to 1+ months to hit your account! Decline / do not opt in for any deposit bonuses when taking these offers. Most Casinos will have a sign up that is simply not worth doing and is made to make you lose money, so decline ALL bonuses. If you find that your account has a bonus automatically attached to it, then simply go on the Casinos Live chat. DO NOT spin it under any circumstance. The Profit below is all Estimated Profit. Your results will vary, however in an ideal world the Profit stated is what you would get theoretically. Important: This Casino does not have a UK license. However they do accept players from the UK, and after testing, we have had withdrawals and cashback processed. Proceed with caution. Below are the Bingo Cashback Offers available for you to profit from. These offers tend to be poorer value than the Casino offers, purely because Bingo is a high variance game. You attempt these offers exactly the same as the Casino ones, however you must play Bingo games. Some of the sites will allow you to spend the money on "side games" or other casino games, however if you want to be 100% sure that you'll receive the cash back then you must play bingo and buy bingo tickets. Decline / do not opt in for any deposit bonus, otherwise your deposit will be tied to a deposit bonus. As with Casino, do not play using any bonus or your funds will be at risk - make sure you contact live chat who will remove it for you. 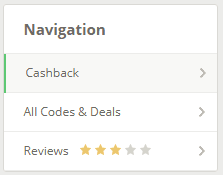 Before completing a cashback offer, it is well worth reading the reviews on TopCashback and/or Quidco. Please note some of the cashback offers may not have reviews (if they are new) or have poor reviews. If you're unsure whether to go for an offer, please feel free to post in the Facebook Group for fellow Team Profit member feedback!